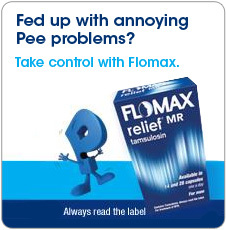 Prevalin immediately relieves the symptoms of hay fever in the nose and eyes without causing Side Effects. 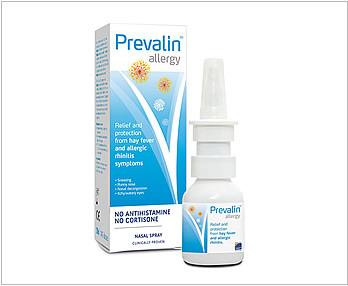 Prevalin is a non-drowsy antihistamine and sterioid-free nasal spray. 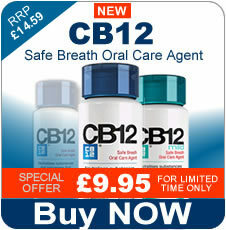 It pro-actively treats hay fever providing full, effective relief, without causing any Side Effects. Unlike traditional hay fever medicines, Prevalin’s unique triple action formula starts to work immediately at the source of the allergic response in the nose. Prevalin offers relief and protection from the symptom of hay fever and other common allergies such as sneezing, runny nose, blocked nose and itchy or watery eyes. Once shaken Prevalin becomes a liquid that can be easily sprayed into the nose. It then forms a stable and impermeable microgel barrier blocking the allergens from irritating the nasal mucosa and causing symptoms. Prevalin’s works differently from other hay fever products because it works at the first line of the allergic reaction, before the mast cells are infected and histamines are released. This means that all symptoms of hay fever will be stopped in their tracks! How to use Prevalin Allergy Nasal Spray? Prevalin should be sprayed into each nostril 1 or 2 times, 2 to 3 times a day, as it provides protection for up to 6 hours. Use Prevalin at the first sign of hay fever to defuse pollen before full-blown symptoms can develop. Please read the enclosed leaflet for further information. Store as indicated in manufacturer instruction leaflet.